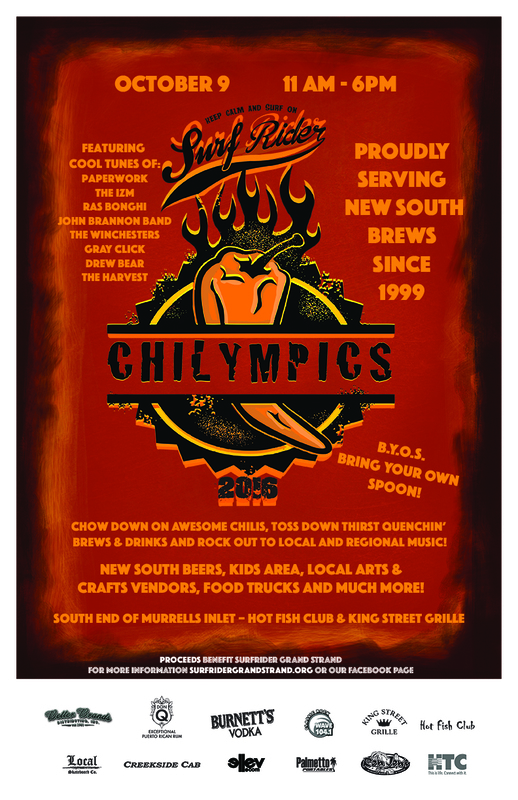 Surfrider Chililympics Chili Cook-Off - Ellev - The Best Full-Service, Award-Winning Ad Agency in the Carolinas! The Grand Strand version of Surfrider is one of our most fun, and sometimes challenging, clients. Not challenging in a bad way, but challenging in a good way! There are so many facets, functions, and activities that are part of Surfrider Grand Strand, that they are always keeping us on our toes. We work with them in regards to web design (we won a Silver Addy for their recent website design – www.surfridergrandstrand.org), we do their social media management by taking care of all of their social media posts, event listing, etc. etc. We also take care of managing their website by adding all their events, news, blogs, and other posts. Not only do we do these things, but we also work with them in regards to helping them organize, promote, and put on their events. 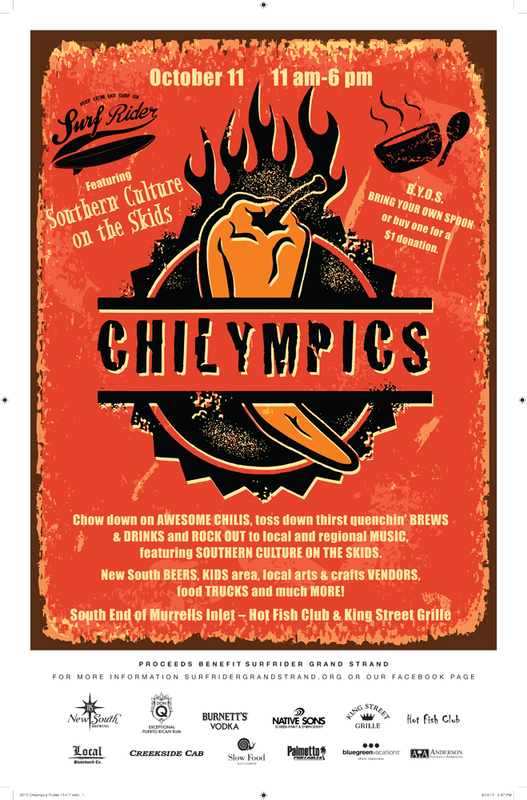 One of the biggest events that we assist them with is the infamous Chililympics Chili Cook-Off! This annual event has been a staple of the Grand Strand for over 10 years and draws thousands of spectators each year in October. Ellev has helped them with every aspected of putting this event together doing artwork and graphic design, to booking and appearing on TV and radio interviews, to handling press releases, newspaper interviews, working with the talent, etc. etc. You name it, we worked on it! This was a total PR campaign and social media event! We did the social media management duties of posting, updating, events, page graphics, and more! During our time working with Surfrider on the Chiliympics the vent grew from a few thousand to a height of almost ten thousand attendees! 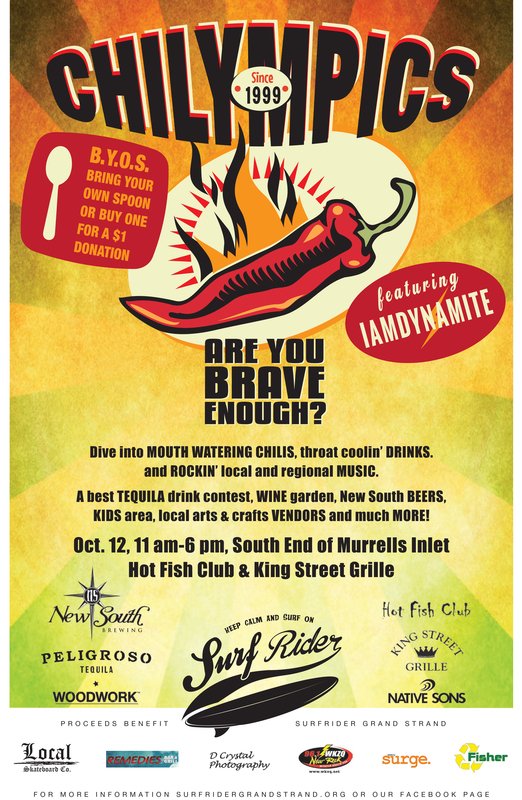 With Ellev’s help and guidance, the Surfrider Chili Cook-Off has grown to one of South Carolina’s biggest events. We are very proud to have been a part of these great events! If you need help with PR and social media management for your company or event, then please contact us here at Ellev Advertising Agency as we provide some of the best Public Relations and social media management in Myrtle Beach and Charleston SC. Contact us today at 843-902-7107 or info@ellev.com!